In the world of fast moving consumer goods, was been the accepted wisdom that your brand should strive for differentiation — how it is different from the competitive set. Dartmouth marketing guru, Kevin Lane Keller has taught about the importance of understanding a brand’s points of differentiation and how to build brand communication around these. Then, along came brands with very little real differentiation, such as AFLAC, who used a quacking duck to become a dominant player in the insurance market. Distinctiveness is your brand’s ability to stand out and be remembered. It might be driven by a character like the AFLAC duck, or a symbol like Instagram’s colorful app icon, or even a unique business model such as USAA’s, that is only available to US Amed forces and their families. What matters is that a brand owns something, a brand asset, that consumers can easily recall. Brand fluency, or how quickly consumers can recall aspects of your brand, is the new currency in branding. Fluent recall of a brand is especially critical in the digital age, where we need to quickly type our wish into Google Search, or ask Alexa for it. We create fluent brand fluency when we build consistent, memorable brand assets. The precisely-tuned rumble of a Harley Davidson engine is a good example of this. The round headlights and grill of Jeep and the Johnson’s Baby Shampoo fragrance are also distinctive brand assets. These assets are even more powerful when they evoke a positive emotional response, such as GEICO’s Spokesgecko or the Snapchat ghost. We call these things that distinguish our brands assets because they are worth something! They make it easy for consumers to remember our brand and feel something about it. They can change a purchase decision from a conscious effort into a subconscious habit. They subtly guide consumer behavior. The Golden Arches of McDonald’s automatically lure thousands of customers into the drive-thru every day. The distinctive plaid design of Burberry’s immediately signals sophistication and quality. You don’t have to be a multinational brand to apply brand distinctiveness. 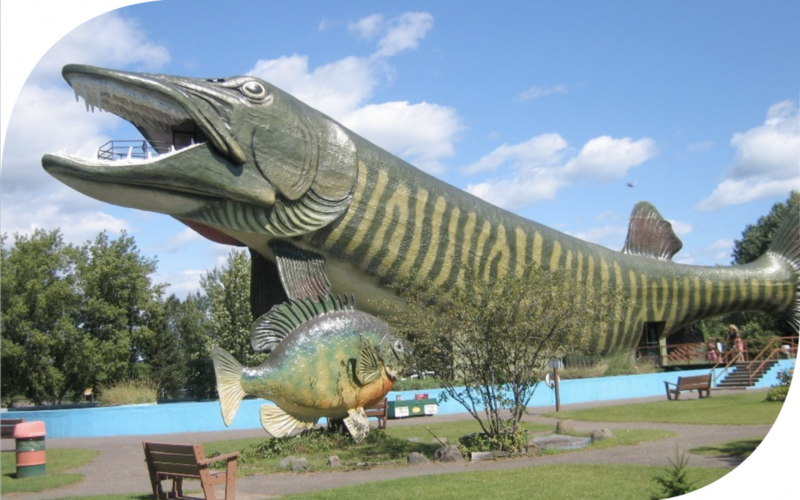 Every summer, Hayward Wisconsin celebrates its Musky Festival. 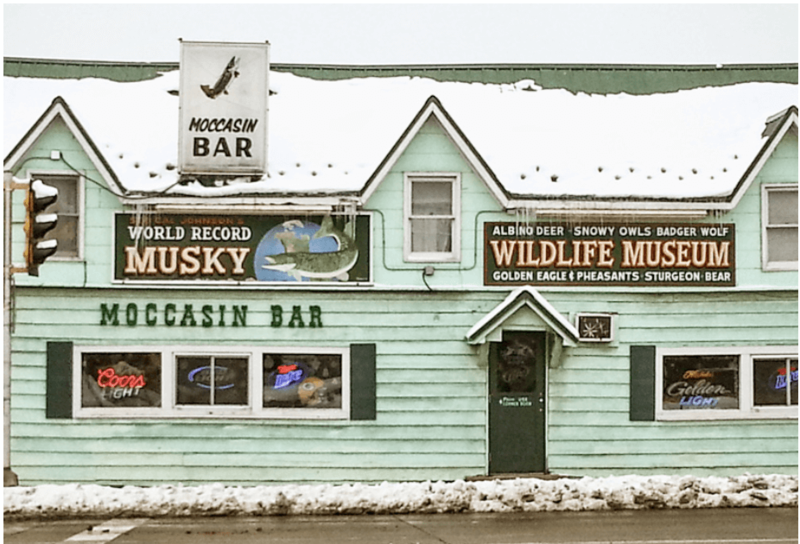 The Moccasin Bar in Hayward boasts the world’s largest musky mounted on the wall (that’s a very big fish, for you coastal elites.) If not for the fame of the musky, Hayward might just be another drive by town in the northern Midwest. Big muskies are memorable. And distinctive. Whether you are a small town, a global brand, or a career-minded executive, be famous for something.